For decades, the undoubtable influence of Star Wars has reigned true in all aspects of the science fiction genre and community. From the first viewing of the original film in May 1977, through the subsequent five films that span the decades in between and the many spin-offs in cartoons, graphic novels, and literary materials, fans have been hooked. And now, nearly 40 years later, we are once again enamored with the latest installment in the juggernaut, Star Wars: The Force Awakens. This new film is set approximately 30 years after the events in The Return of the Jedi and centers on the search for the missing and last Jedi, Luke Skywalker, and the race between who can find him first: the Resistance lead by General Leia Organa or the First Order, whose commander Kylo Ren is a mysterious and emotional new villain. The light side has its own array of new characters as well, with former stormtrooper Finn and desert scavenger Rey. However, both of these characters’ backgrounds still remain a mystery, although there is much speculation about their origins from fans all over the world. We are also treated to familiar faces Chewbacca and Han Solo throughout the journey as well as new face and best pilot in the galaxy, Poe Dameron and his best droid friend, BB-8. The Force Awakens is a successful blending of the old and the new, with familiar allusions to the older films and cheesy sweeping scene transitions in addition to these new and already lovable characters and subtle, simple humor. In many ways, this film could also be interpreted as a reboot of the original series, with a whole new story. It seems the torch has been successfully passed to the next generation of both characters and fans, proving that the relinquishing of creative control by original creator George Lucas was a wise move indeed. In this latest project within the Star Wars universe, producer and director J.J. Abrams also helped write portions of the screenplay and chose to take the franchise somewhat back to its practical effects roots. Listening to critics and fans alike in their displeasure with the amount of CGI used in the prequel series, Abrams and company successfully mixed CGI in when necessary but relied on practical makeup and effects whenever possible. The team once again turned to composer John Williams, whose mile-long and very impressive resume includes the musical scores for the three movies in the original series, including the now iconic opening Star Wars theme music. At the age of 83 and with a career spanning nearly 60 years in the business, his legacy will likely live on long after his demise, although here’s hoping we won’t have to play witness to that event any time soon. Without going into too many details, this latest Star Wars film validated some of the predictions of fans leading into it, particularly in the area of familial ties. However, it also left some questions unanswered, presumably to explore further in the next two films expected to be made in this newly planned trilogy. While we wait for these further answers, many will likely indulge in viewing this newest film several more times, and we can also catch many of the spin offs, including Star Wars: Droid Tales and Star Wars Rebels through Disney XD and DirecTV. 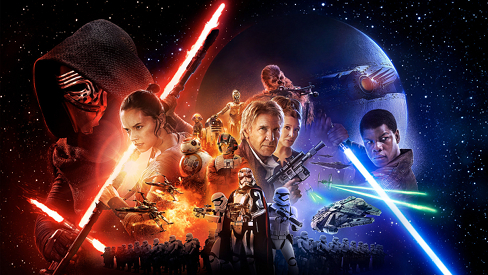 In the meantime, it seems the Star Wars universe is alive and thriving, with many more years of life in it yet. 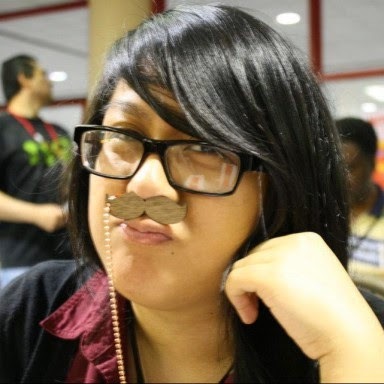 This awesome article was written by Maria Jane. Click on the label Maria Jane below to find more articles on this website written by her. 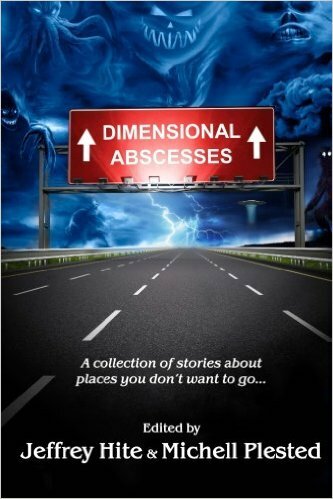 Dimensional Abscesses Now Available in Paperback! I'm so excited! You can purchase a paperback copy of Dimensional Abscesses for only $9.99 on Amazon! It contains my 6,000 word short story The Realm of Fire which I'm very proud of. This would make a great gift for loved ones! Tell everyone! :) Merry Christmas. Every year in December around Christmas time I read, or more likely listen to, A Christmas Carol by Charles Dickens. I have 3 different versions of the audiobook I cycle through. They're all great. This below however is very special. I stumbled on it in an email newsletter I get from Tor publishing. Neil Gaiman isn't just a great writer, he's also a great narrator. Listen to him read A Christmas Carol by Charles Dickens. A real treat. His narration of the story begins at 11:55 if you want to skip the cool intro stuff. Enjoy. 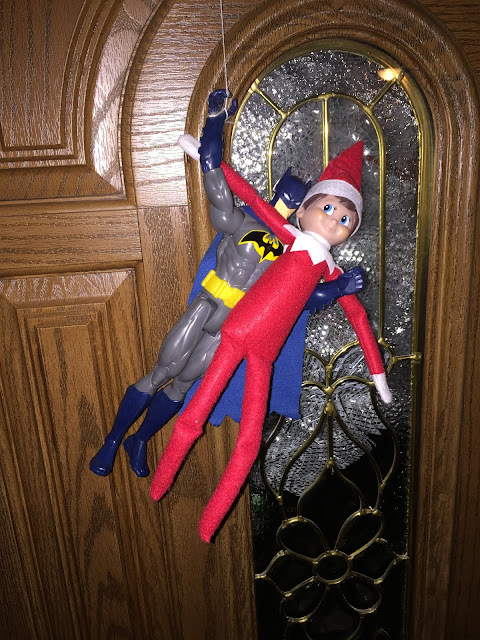 Our Elf on the Shelf has been hanging with some pretty cool characters. Elsa is on the Naughty List! 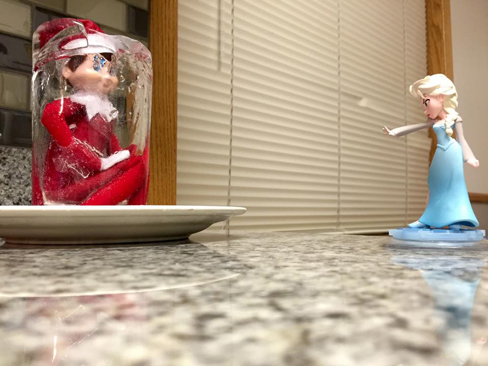 Look what she did to our poor little Elf on the Shelf! I really want to finish the novels I've started but I just don't seem to have the time most nights. Meanwhile I really want to get more fiction out there for sale and write enough of it to make a print book. I can't make my short stories into paperbacks except as a collection which I do plan on doing, but I have this burning desire to get books out there. I've been trying to think of short stories I could write that would each be their own story but like episodes in a longer series. I've also been trying to think of books to write that my seven year old could read because he's getting into reading and I'm really excited about that. Luckily for me these books are the same length as most of my longer short stories which I can write in a few sessions and get feedback and rewrites and reviews on in a decent amount of time. So that's where my focus is going - chapter books. With my limited time to write and edit, it's hard for me to write novels. It takes a while to get my head around such long complicated stories. There's a lot of planning involved, and once it's done there are several revisions and rewrites to be done. At my rate it will take me ages to get a finished novel completed and ready for sale. It's still something I'm passionate about and want to work on, maybe on weekends or when I have decent chunks of time, but in the mean time I'd like to get more fiction out there and short stories seem to be hard to sell. So I'm going to write a series of chapter books about a kid who solves mysteries. I'll be shooting for a word count of 3000 - 15,000 words. This is the length of chapter books written for kids ages 6 to 11. My oldest is 7 but has no problem reading Diary of a Sixth Grade Ninja which claims to be for kids ages 9 - 12. So I'm going to write a ton of chapter books. Honestly I enjoy reading these kinds of books myself and from the little I got down last night I really enjoy writing them too. I started a book like this about a kid detective years ago and even wrote several thousand words of that story but it never had much traction for me. This one I can already tell could turn into many chapter books about different mysteries and I'm really excited about it. So I'm still going to chip away on my longer novels when I can but for now I'm going to focus my little blocks of time I have on writing chapter books. Getting them written. Rewritten. Revised. Getting feedback from beta readers. Polishing them. Getting them edited, and getting them published! The other fun thing is that I'm an artist and I love doing illustrations and these chapter books have lots of illustrations so it will be fun making those and putting them in the books too. Check out the cover I whipped up and a sample of what I wrote last night below. I did not do this illustration but will do the interior ones. This is one I found that is in the Public Domain so it's free to use for commercial purposes. Thanks for stopping by! My name is Barnabas Thackeray and this is the case of the magical snowman. It all started with my friend Jeff's sighting of a mysterious snowman in his yard one night. He told me about it the next day at lunch. "I was getting out of bed to use the bathroom when I saw it outside my window. It wasn't moving or anything like that, but I don't know how it got there. I didn't make it and my brother was gone all afternoon so it wasn't him either." "Who are you Darth Vader? My father? Why do you always talk funny man?" "I don't talk funny, I speak correctly. Now answer the question." "Come on Barns, you really think my dad would just be out building a snowman at night? Grownups don't do stuff like that dude. Besides it was too good." "When you say too good, what precisely do you mean?" "I've made lots of snowmen before, but I could never make one this good. All of his parts were like perfectly round, and the coal pieces that he had for eyes were cut down at angles on top to make him look..."
"Well evil. Like he had a huge evil grin." "And how did you see all of this from your bedroom window?" "I got my binoculars out. I swear I thought he was going to turn his head and look at me when I checked him out. It gave me the creeps. After that I closed my curtains, went pee, and went straight back to bed." "And you said it was gone in the morning?" "Yeah well most of it. First thing I did of course when I woke up was look out the window again, but he wasn't there. But I could see something in the snow." "Yeah so I ran out in my pajamas to the spot where the snowman had been and there was a hat." "It was the hat he was wearing. One of those old school hats." "Like a top hat? Think Frosty the Snowman." "Yeah like that. It's black with a red stripe around it's bottom, same color as the scarf he was wearing. Are you going to finish your mashed potatoes?" "These are something of an entirely different composition than potato. They're all yours." He grabbed my lunch tray and scooped my mound of fake potato onto his. "So you kept it then?" "Kept what?" he said around my so called potatoes. "Oh yeah. I stuck it under my bed." "I don't know man I just grabbed it and hid it! Why?" "Legend has it that silk hats can make snowmen come to life."